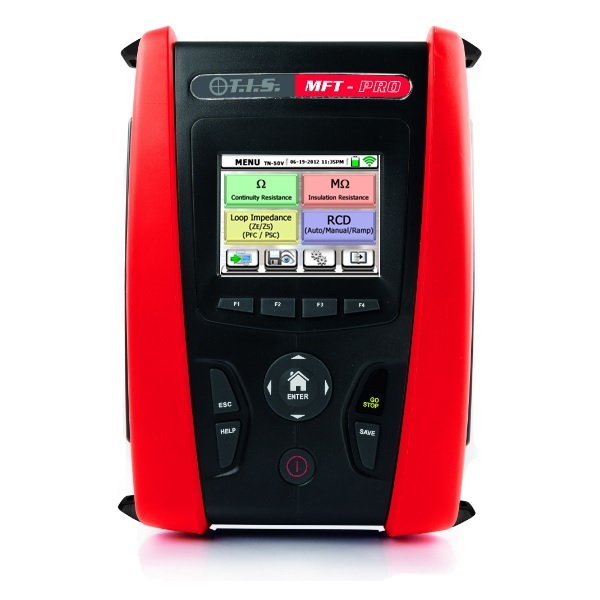 The TIS-MFT is a professional multifunction installation tester with power quality analysis & Wi-Fi. It will carry out all the expected functions of a multifunction tester, including loop, rcd & insulation tests & much much more. It's main features include Phase to Phase loop testing, a large TFT Colour LCD display, TRMS for accurate measurements on noisy and harmonically distorted circuits. The TIS MFT-Pro also features an accurate Pro-Lock no trip loop test, power quality analysis & harmonics upto the 25th! Resistive touch screen, works even with gloves on! I like the mft pro, it carries out all it needs to for domestic use and much more, the only grumble is the price of the accessoreis needed for power quality etc. You will have to read this manual but like any of the mft's once you get the hang of it its very good. I like the case as well you finally can get all your bits in it!